To make the sensor looks as intentional as possible we discussed placing the sensors underneath the box, rather than drilling a hole into the box. To place the sensors underneath the box we needed to create legs which would elevate the box up high enough for our sensors to fit. 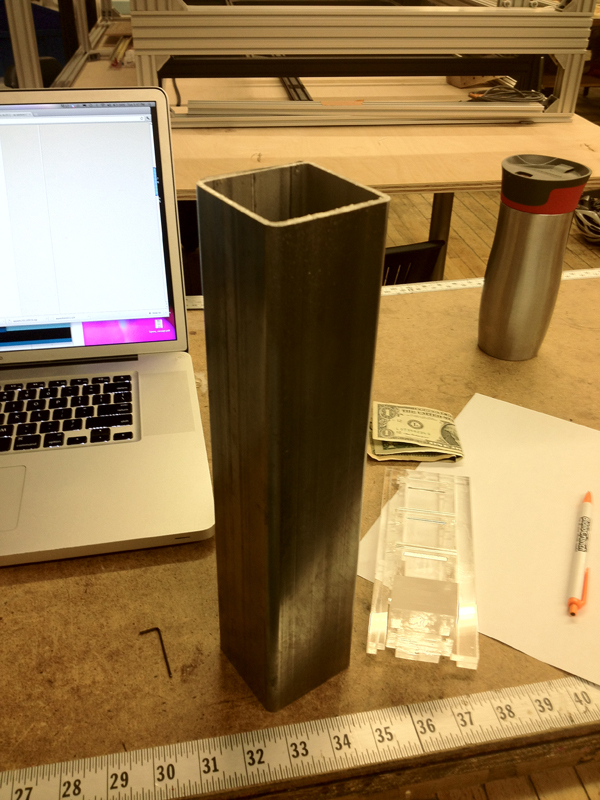 We purchased the square tube shown below and cut slivers down to size for our legs. 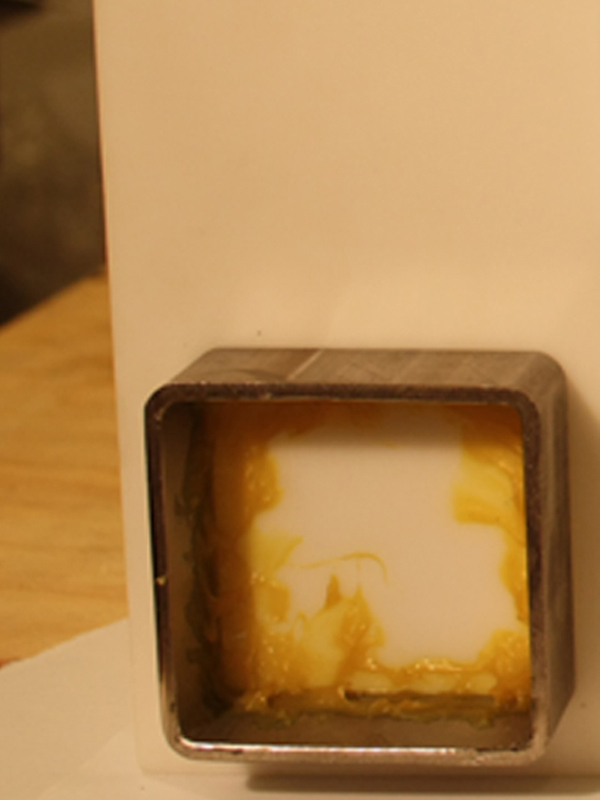 We attached the legs to the base of the box with Plastic Weld 2-part epoxy. It’s not a pretty epoxy, but it’s extremely secure. We drilled holes in the two front legs and embedded the sensors within the tube. The back legs do not have holes in them because they do not house sensors. 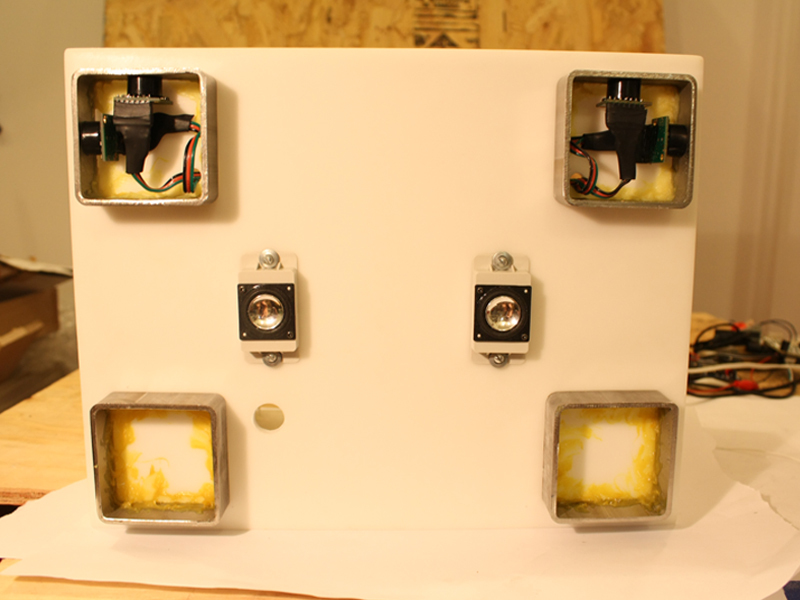 Here the legs are shown with the sensors embedded, which will be described more in later posts.